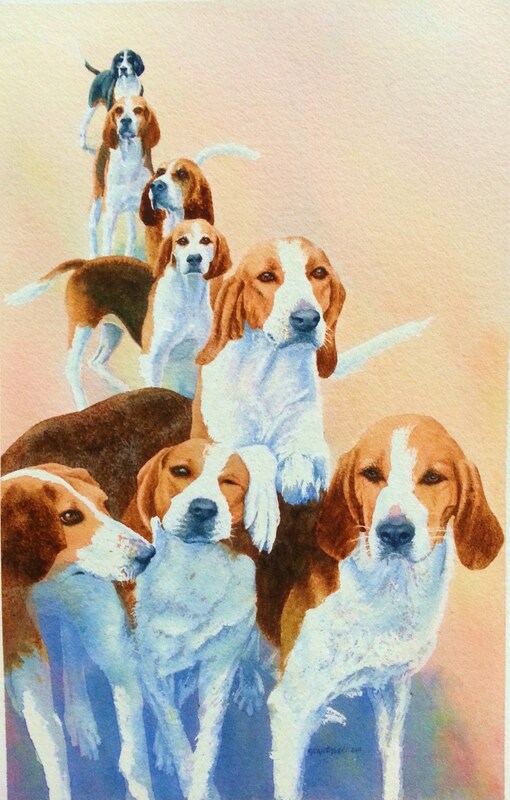 Gillie Cawthorne (1963-) is an English artist who specializes in watercolor and pastel. 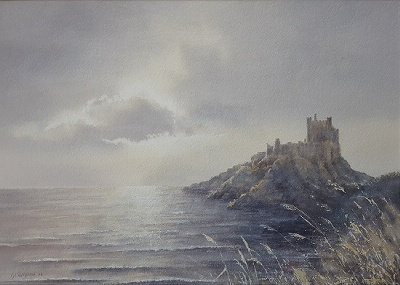 She was born in Coxhoe, UK and went to school at Durham University, Durham, UK. 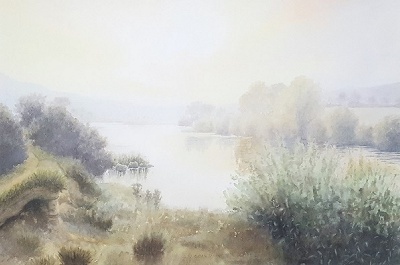 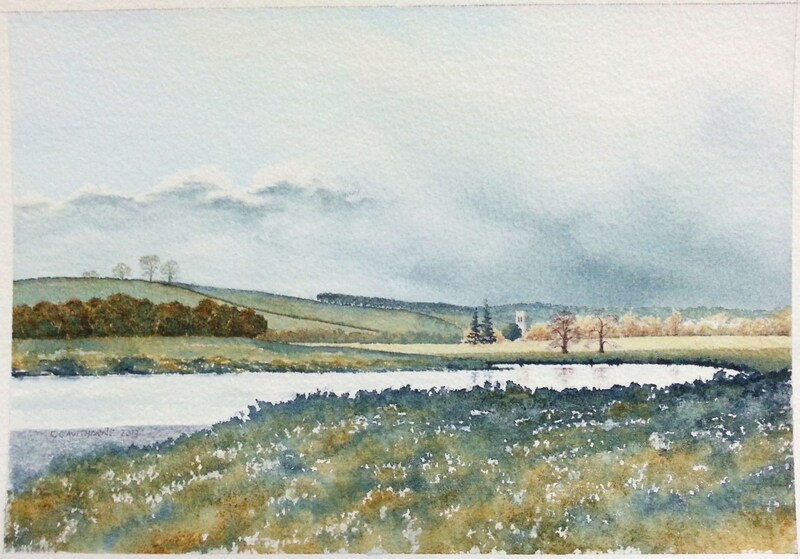 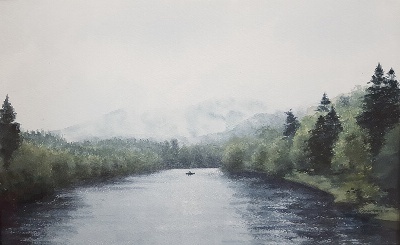 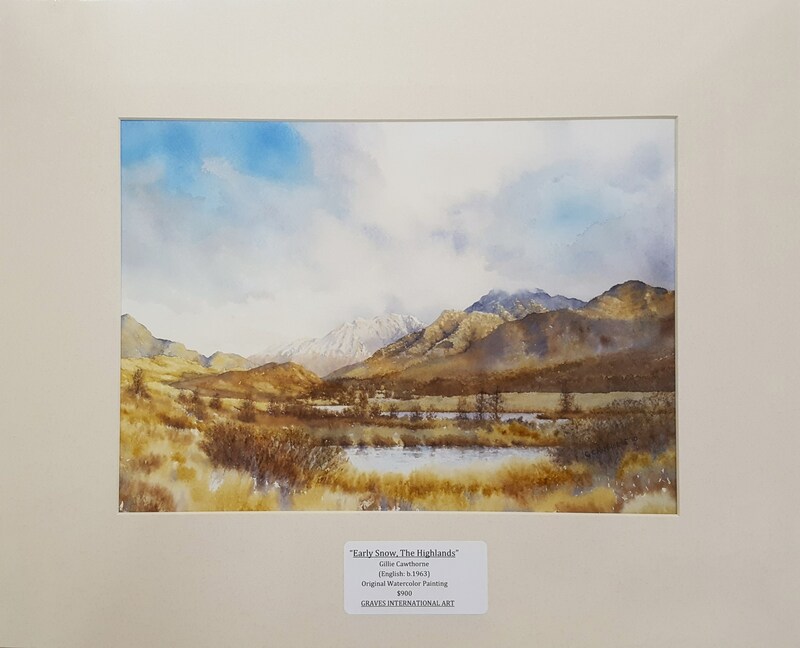 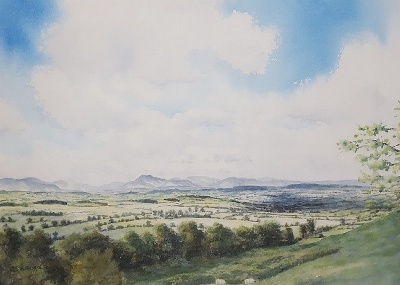 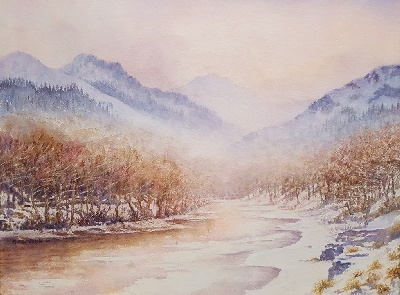 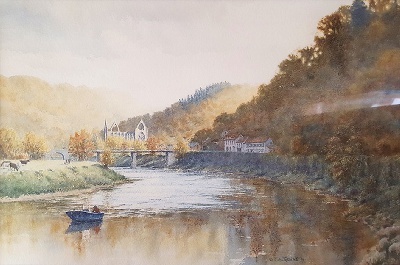 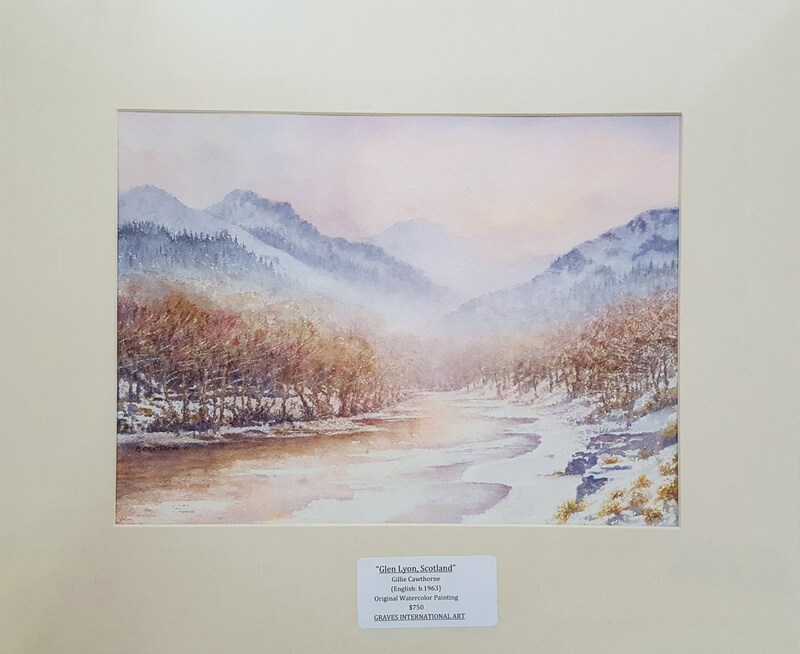 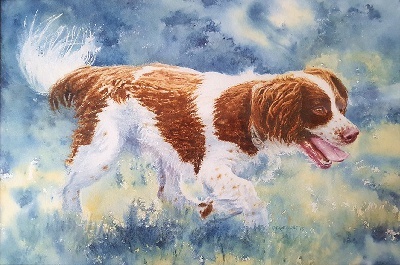 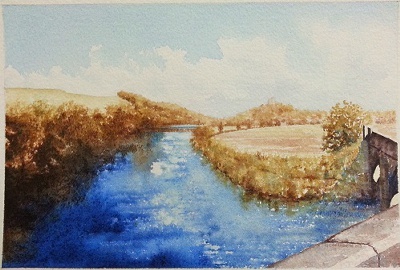 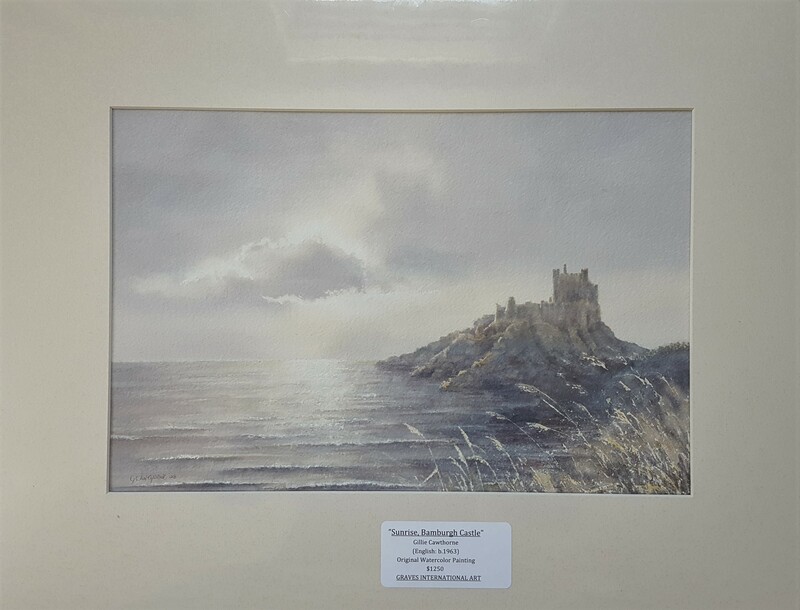 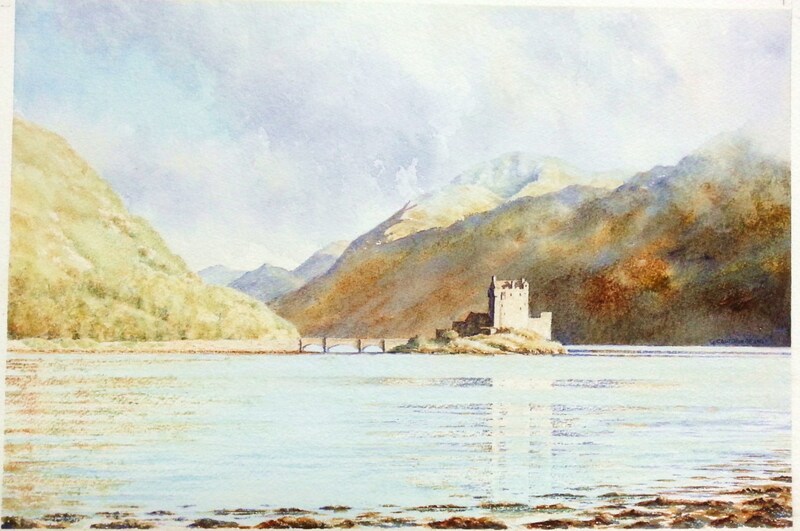 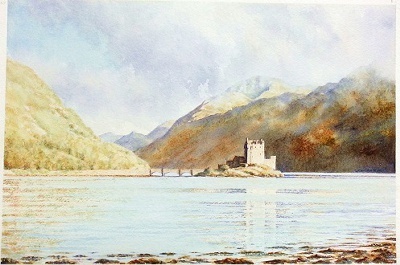 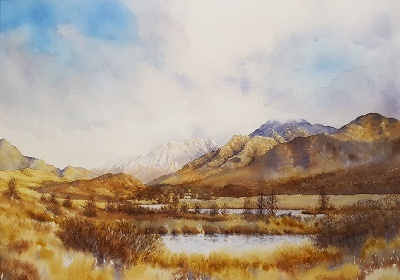 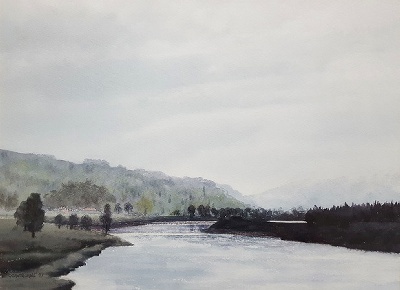 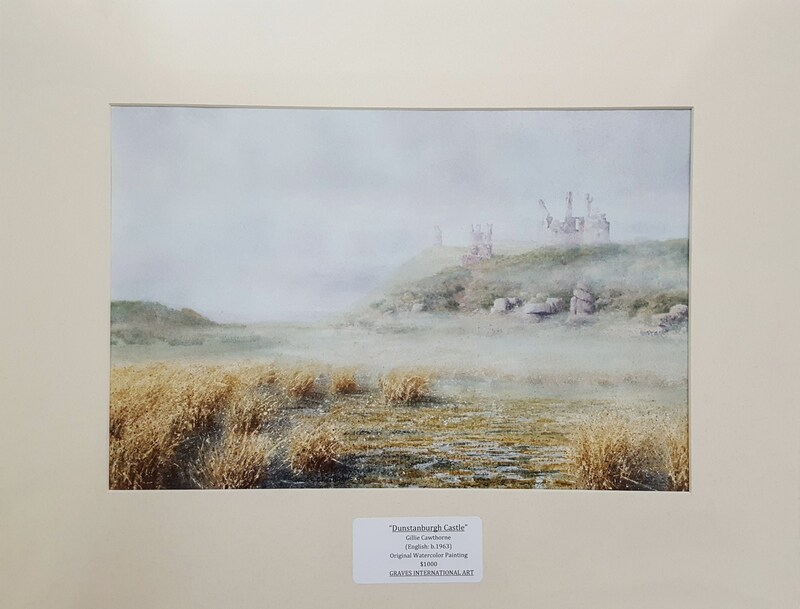 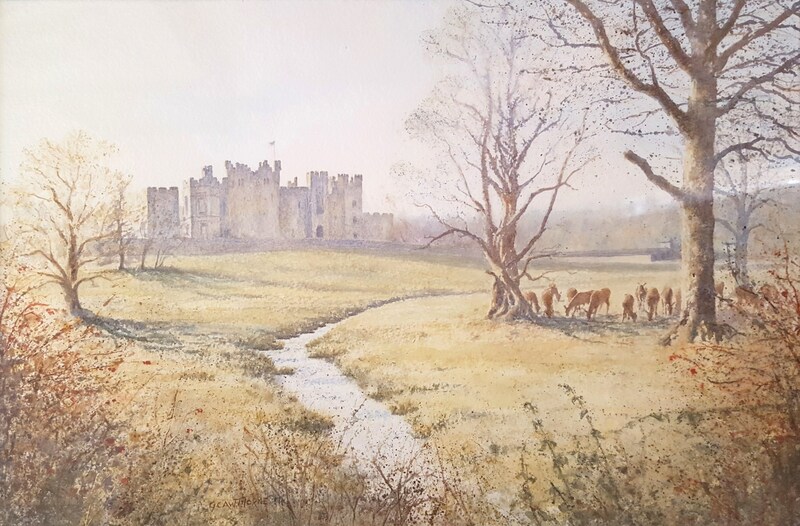 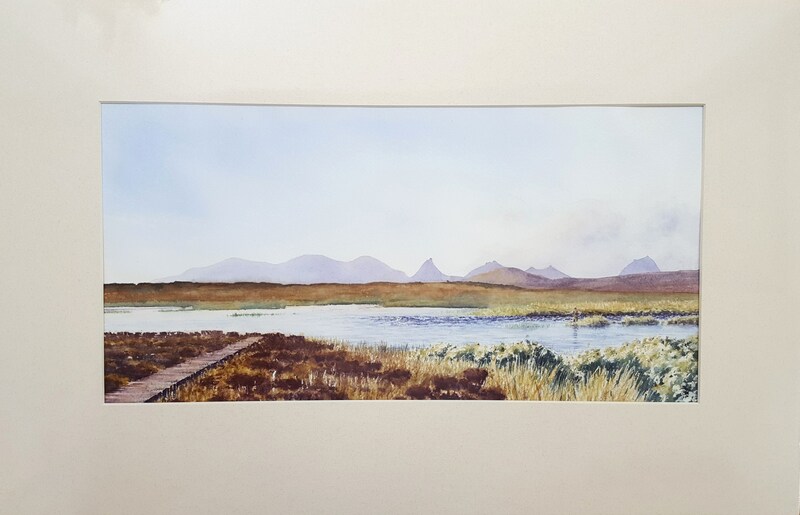 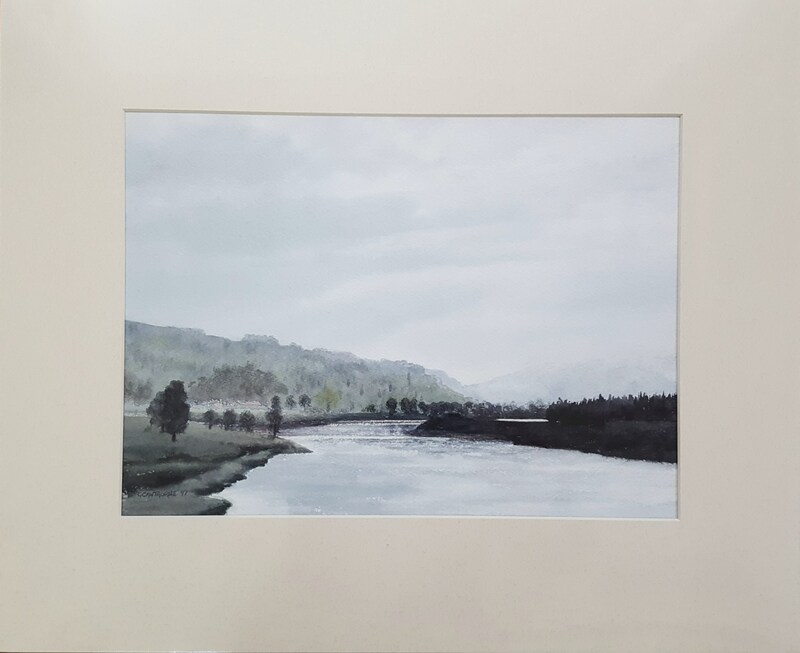 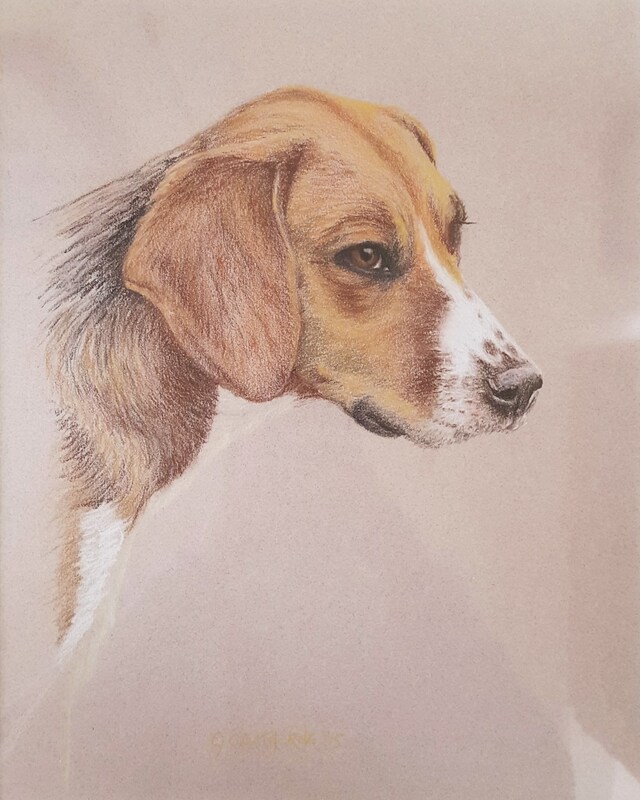 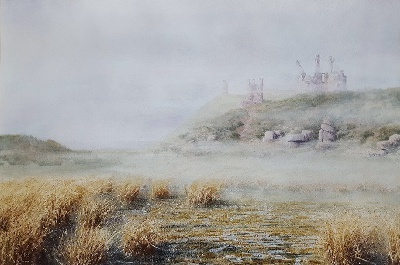 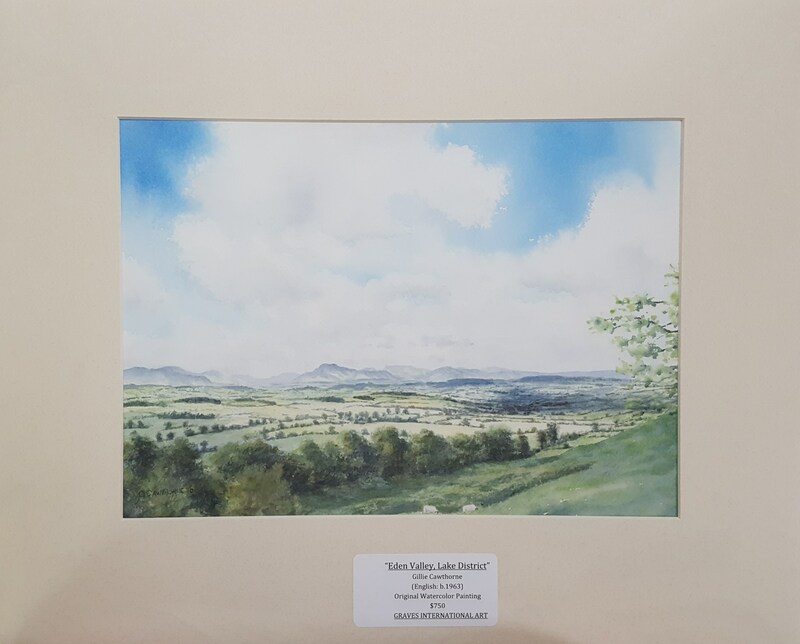 Since graduating with a degree in Geology from Durham University in 1985, Gillie has painted professionally in watercolor and soft pastel and has exhibited paintings in many solo and joint exhibitions across Great Britain. 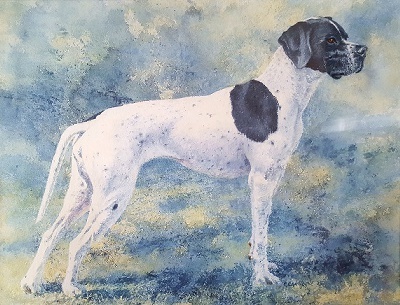 Shortly after our gallery signed Gillie for representation in the US in 2003, she had her first international show exhibiting at Holland & Holland Gallery, New York, NY. 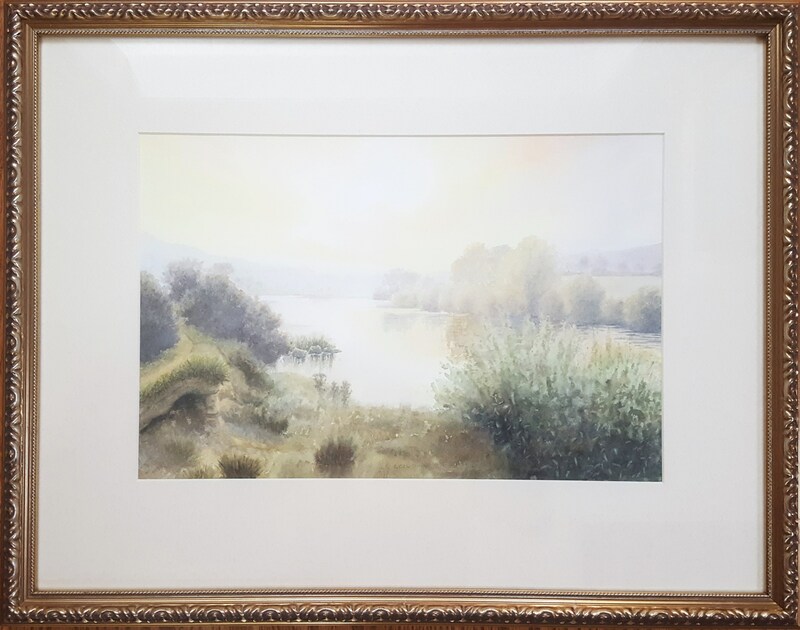 This subsequently developed a great demand for her work throughout the United States as well. In 2011, she was commissioned by Durham University to paint the portrait of nationally renown writer and Chancellor of Durham University Bill Bryson. 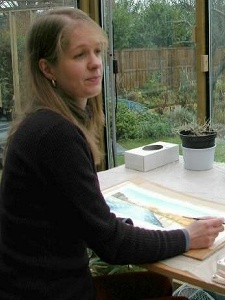 Today, she continues to work from her studio in the Pennines, UK. 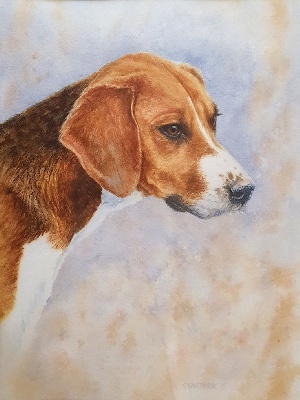 You may visit Gillie Cawthorne's official website here. 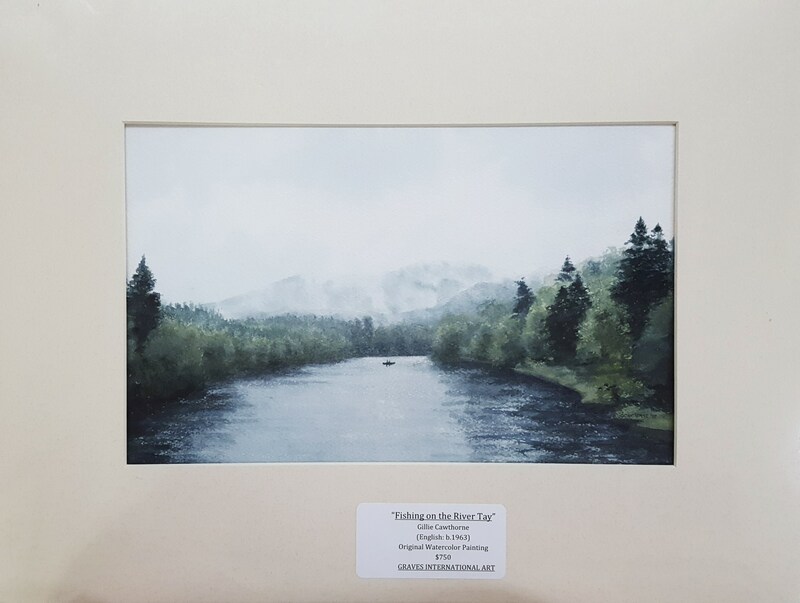 Image size: 18" X 11"
Matted size: 25" x 18"
Image size: 12" X 17.75"
Matted size: 19" x 24.75"
Image size: 11.25" x 15.5"
Matted size: 18.5" x 22.5"
Title: "Fishing on the River Tay, Scotland"
Image size: 9" x 14.5"
Matted size: 16.25" x 21.5"
Image size: 11.75" x 15.75"
Matted size: 18.75" x 22.75"
Title: "River Tyne Between Hexham and Corbridge"
Framed size: 21.25" x 27"
Title: "Bamburgh Castle Sunrise, Northumberland"
Matted size: 19" x 24.5"
Matted size: 19" x 23"
Title: "Early Snow, The Highlands"
Image size: 11" x 15.5"
Matted size: 18.25" x 22.5"
Title: "Eden Valley, Lake District"
Image size: 11" x 15.25"
Matted size: 18" x 22.25"
Title: "Loch Beg, Sutherland, Scotland"
Image size: 9.5" x 19"
Matted size: 17" x 26"
Title: "Eileen Donan, Loch Ness, Scotland"
Framed size: 22.5" x 28.5"
Title: "River Tweed at Norham"
Image size: 8" x 12"
Framed size: 21.5" x 24.5"
Framed size: 21" x 24.5"
Matted size: 23.25" x 19"
Image size: 15" x 12"
Matted size: 22.25" x 19"
Image size: 12" x 15.75"
Matted size: 19.25" x 22.75"
Image size: 12" x 17.5"
Image size: 8.5" x 20"
Framed size: 21" x 32"